The thing that makes you different? Or could be balm and manna. Smoking stub your lips had touched with crimson. An equal thrust and pattern. 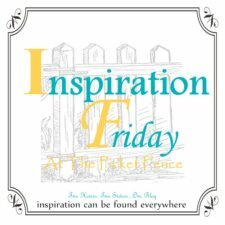 Do you have an inspirational /motivational post that you have written this week that you would like to share? If you would like to join this weeks link up party simply sheare yourpost and on your original post pop a link back to here or grab the badge oh and do please leave a comment! We have joined up too with reasons to be cheerful blog hop as this gorgeous poem makes me very very happy! Our link in The N for niece in Louis MacNeice! I know its tenuous but I had to share this poem!